WE WANT TO THANK THE SPONSORS THAT MAkE THIS EVENT POSSIBLE! HARLEM AMBASSADORS VS ROGER MILLS ROUGHNECKS TICKETS NOW ON SALE! Get ready for an evening of thrills and excitement! 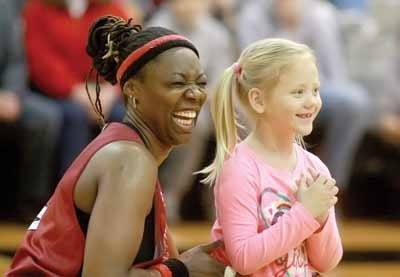 The Harlem Ambassadors are returning to Cheyenne on Friday, April 8th at the Cheyenne School Gymnasium. The Harlem Ambassadors will take on the Roger Mills Roughnecks once again. This year's Roughneck team includes Jennifer Whitson, Steven Bentley, Hannah Holloway, Whitney Moore, Ryan Baker, Terry Steinbeck, Lindsay Bogges, Shadd Bogges, Nikki Gourley, Abbey Hartley, L.D. Powers, Phillip Stark, Leisha Carlson, Belinda Chalfant, Taylor Swisher and Kevin Bowles Mohr. Get your advance tickets now! Tickets go on sale Tuesday, March 1st. Advance ticket prices are $9.00 for Adults and $6.00 for students and senior citizens 65 and older. Ticket prices at the door will be $10.00 and $7.00. This year's concession will feature delicious hamburgers, hot dogs, nachos, pretzels, popcorn and candy. Enjoy a great meal at the game. Sponsors for this year's game include Security State Bank, Johnny Mc's Food N Fuel, Roger Mills Memorial Hospital, Northfork Electric Cooperative Inc, Steven Shrader DDS, First National Bank and Trust of Elk City, New York LIfe Insurance - Jim and Frances Dearing, Western Oklahoma Wellness Initiative, Hi Pro Feeds Inc., Cheyenne Drug, State Representative Todd Russ, Smith Ag Center, Tweed's Hilltop Cafe, Dobson Telephone, Creative Tees, Clarion Inn Elk City, Markham Angus, KECO Radio, Town of Cheyenne, Cheyenne Star and Dale and Judy Tracy. Tickets may be purchased at Security State Bank, Martin's Trading Post, Johnny Mc's, Cheyenne Drug, Bear Trax, Charolet Lucas at Roger Mills Hospital, Jimmy Beavin at the Roger Mills County Courthouse, York Insurance Jo Nell York, Tweed's Hilltop Cafe in Reydon, Northfork Electric in Sayre and the Chamber Office. Don't miss this exciting night of family friendly fun! For more information contact the Chamber office at 580-497-3318 or email cheyennecoc@gmail.com. This is a smoke free event. No tobacco or vapors. The Harlem Ambassadors will be back in 2016! Save the date Friday April 8, 2016 at 7PM at the Cheyenne School Gym. Don't miss out this time on some great family fun entertainment! Get ready for high flying thrills, fun and excitement! The Harlem Ambassadors will be providing all that on Friday, April 10th at 7:00 p.m. in the Cheyenne School Gym. The Ambassadors are lead by Lade Majic. This future national Hall-of-Famer has played more show basketball games than any woman in history and has performed with the Ambassadors in all 50 states and 20 foreign countries. Majic starred collegiately at the University of Missouri where she was a 4-year starter. While playing for the Tigers, she earned Kodak All-American honors and most recently, was inducted into the University of Missouri Hall of Fame. Prior to joining the Ambassadors, she played professionally in Israel and also toured with another “Harlem” show team. Here are some of the great things people have to say about Lade Majic and the Ambassadors. “As I looked out at our huge crowd, I saw big smiles and lots of laughing by young and old alike. Whole families were having such a great time together, they didn’t want the the game to end.” Lois Loucks, Onaga, KS. Don’t miss your chance to make this a great family adventure! Get your tickets early to be sure you don’t miss this great show. Advance tickets are $10.00 for adults and $7.00 for students and seniors 65 and over. Tickets at the door will be $12.00 and $9.00. Tickets are available now at the following locations: Security State Bank Cheyenne and Hammon, Cheyenne Drug, Martin’s Trading Post, Twisted Pearl Salon, Bear Trax, Northfork Electric - Sayre, Elk City Youth & Wellness Center- Elk City, York Insurance - Durham and Cheyenne Chamber of Commerce Office. We hope to see you there! For more information contact Cindy at 580-497-3318. The Chamber is currently seeking sponsors for the Harlem Ambassadors VS Roger Mills Roughnecks Basketball Game. Contact the Chamber at 580-497-3318 for more information. Join us for this exciting night of family friendly entertainment! 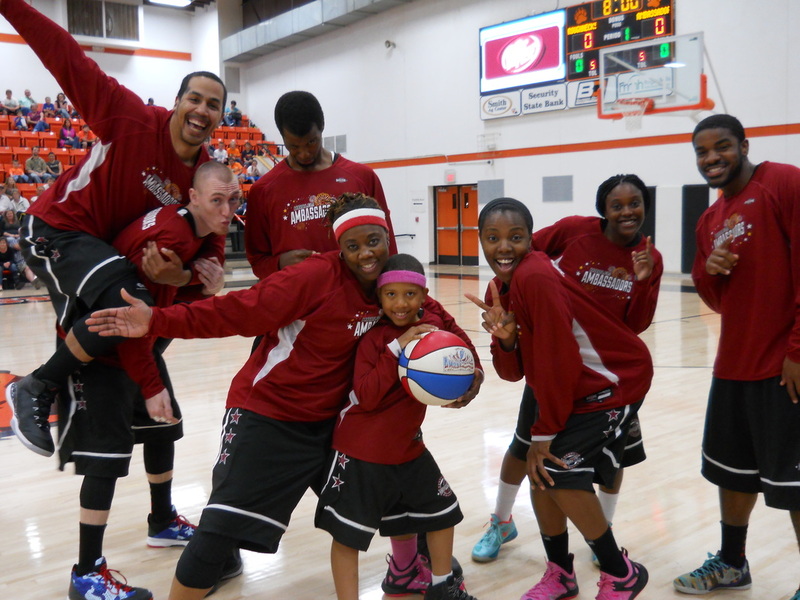 Hoops and hijinks are coming to Cheyenne on April 10, 2015 when our very own local challengers, the Roger Mills Roughnecks, take on the Harlem Ambassadors in a comedy basketball show the whole family will enjoy. The show starts at 7:00 PM at Cheyenne High School Gym. This family fun event is brought to you by the Cheyenne Roger Mills ​Chamber of Commerce. 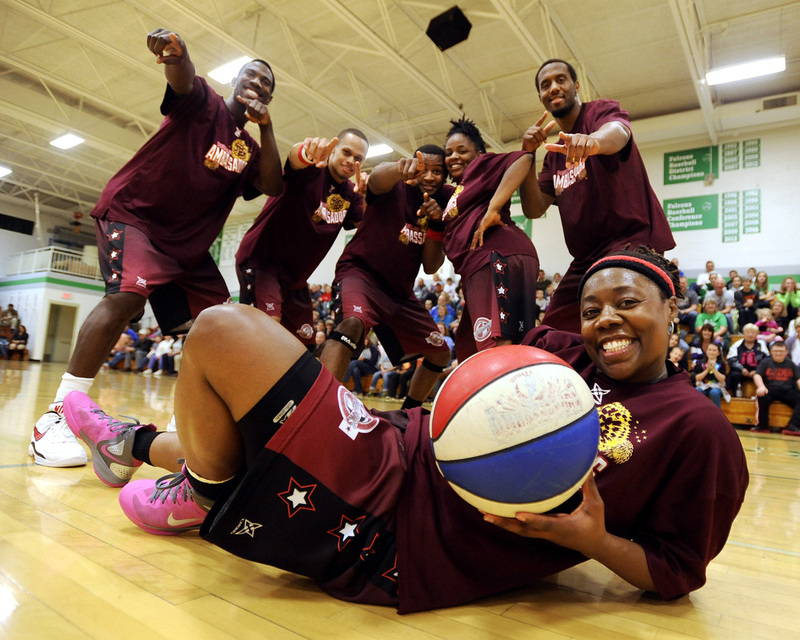 The Harlem Ambassadors have performed more than 2,500 professional comedy basketball games as fundraising and community entertainment events for non-profit organizations, the U.S. military and community service groups since 1998. These events have helped raise over $9 million for communities in 50 states and 20 countries. The Ambassadors have appeared at Pearl Harbor, Bosnia, Kosovo, Sarejevo, Korea, Japan, the Marshall Islands, Guam, the Federated States of Micronesia, the Republic of Georgia, Mexico, Germany, England and Canada. Visit www.harlemambassadors.com to learn more about the company's history and current tour. “We're proud to give communities quality family entertainment that parents, grandparents and kids can enjoy together and create memories that last a lifetime,” Harlem Ambassadors president Dale Moss said. 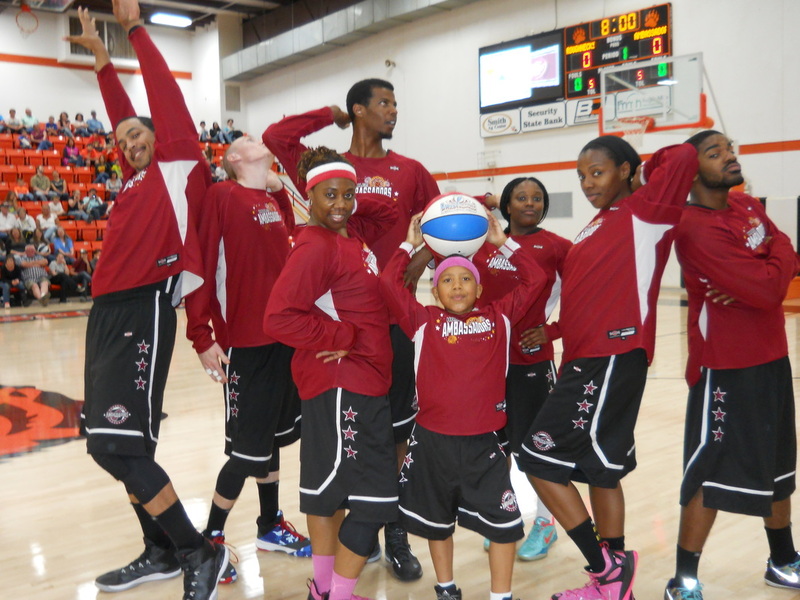 "Every Harlem Ambassadors game is one-of-a-kind because the Ambassadors play against local competitors. It's a night filled with laughter, comedy and slam dunks, all to benefit the local community." Dont miss out on this fun event!